American drug spending is out of control. At $330B a year, American expenditures on prescription drugs subsidize pharmaceutical R&D for the rest of the planet and allow foreign governments use price controls to keep drugs artificially cheap for their citizens. One remedy for this unfair situation is for the federal government to only pay pharmaceutical companies the average price of drugs paid by other developed countries. We were excited to see the Department of Health and Human Services (HHS) propose piloting this reform in Medicare Part B earlier this year, but were shocked to discover that the proposed rule is not an “international price index” as advertised but rather a blunt price control. Insisting on a dynamic price index for Part B drugs would save America billions of dollars annually and allow our public drug pricing system to adapt to new circumstances over time. The American federal government spends about $140B annually on prescription drugs. Medicare Part D, which reimburses drugs an American senior would pick up at the pharmacy, accounts for over $100B of this spending. Medicare Part B, which reimburses drugs administered in a clinical setting, accounts for another $28B in spending a year. The federal government relinquished all rights to negotiate the price of Part D drugs in the Medicare Modernization Act of 2003, but fortunately HHS can experiment with different negotiation strategies in Part B.
Medicare Part B covers drugs used to treat cancers, esoteric diseases, and other rare conditions. These drugs are often offered by only a single manufacturer and tend to be much more expensive than other drugs. For example, in 2016 Medicare Part B spent $2.2B dollars on prescriptions of Eylea (a macular degeneration treatment) and $1.6B on Rituxan (which is used to treat certain types of cancer and autoimmune diseases). Part B spending is growing at an alarming 11% annually, compared with 3.2% annually for Part D.
Part B reimbursement operates on a “fee-for-service” model. Manufacturers sell drugs to wholesalers and distributors, who then sell drugs to providers such as physicians and hospital networks. Providers purchase drugs, and then are reimbursed by the federal government through regional “Medicare Administrative Contractors” for the average sales price of the drug (ASP) plus an “add-on fee” worth 6% of the price of the prescribed drug. This “buy-and-bill” system rewards providers for prescribing the most expensive drugs possible, and manufacturers are only too happy to inflate the prices of drugs before selling them to providers. The American taxpayer suffers the costs of this perverse arrangement. To solve the buy-and-bill problem and drive down the price of drugs, HHS recently proposed a rule that would reimburse vendors (not physicians) at a price determined by indexing reimbursement to the price of drugs in 16 other developed countries. In a price-per-gram comparison of 27 Part B drugs across these countries, HHS found that, on average, Medicare Part B pays 1.8x the average sales price of drugs in other countries. A true international price index could therefore be expected to drive down Medicare Part B expenditures about 45%. According to the proposed rule, the international price index will pilot in 25 states, and roughly $10.5B of annual Part B expenditures will fall within the scope of the program. CMS would also establish the model ‘Target Price’ for each drug by multiplying the IPI [International Price Index] by a factor that achieves the model goal of more closely aligning Medicare payment with international prices, which would be about a 30 percent reduction in Medicare spending for included Part B drugs over time, and then multiplying that revised index (IPI adjusted for spending reduction) by the international price for each included drug. We reread the page a dozen times and were nonplussed when we realized that after defending the virtues of a price index, the authors of the rule actually just plan to multiply the price index by a coefficient to achieve a number that represents a 30% reduction in Medicare Part B payments. We hope that HHS has made a mistake and strongly suggest revising the document so that the price of any Part B drug is just directly pegged to the average of prices in the countries used to create the index. If the real aim of the document is to implement an arbitrary 30% price reduction over time, HHS should eliminate any references to price indices in this document. A blunt price control defeats the entire spirit and purpose of an international price index, which is to allow prices of drugs to fluctuate naturally in response to aggregate demand and pricing strategies in foreign markets. Even if phased in gradually, a true price index would save taxpayers vastly more money (a ~45% price reduction would save 10–20 billion more than a 30% price index over the next decade). An adaptive index would also closely approximate an actual international market for drugs rather than the arbitrary rigidity of a Soviet price control. 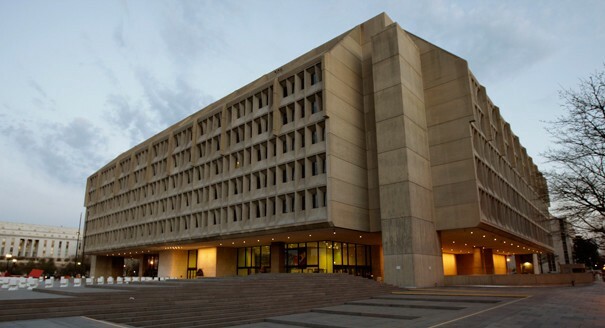 This rule is currently in “advance notice for proposed rulemaking”, which means it must clear three more rounds of internal review and five rounds of external review before HHS can launch the pilot. There is plenty of time to correct this error and remove the paragraphs in question; we encourage HHS to do so. The pharmaceutical industry is the largest lobby in the country by a huge margin, and PhRMA, the drug manufacturers trade organization, will certainly fight this proposal. In the past it has successfully quashed several promising Medicare Part B pilot studies, including a program that would have paid for cancer drugs at the price of the least costly equivalent (where multiple drugs offer similar efficacy). Nonetheless, we are optimistic that the Trump administration will be able to launch a pilot with a real price index, and are confident that a price index would save Americans billions on physician-administered drugs per year. The program will only operate in 25 states and will be restricted to (1) drugs incident to physician services, or 84% of Part B prescriptions and of this class, 2) only biologicals and single source drugs, or 90% of drugs in (1).